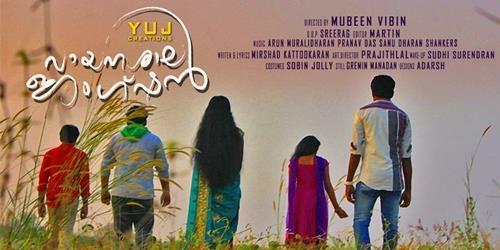 Vayanasala Junction malayalam movie directed by Mubeen Vibin will have a young cast dominated by new faces. Scripted by Mirshad Kattookaran, the music is handled by Arun Muralidharan, Pravav Das and Sanu Dharans Shankar. A young cast including Jomon, Rishi, Navami Nair and Kavya will be donning prominent roles in the movie. With the finalization of the cast, the makers would make the movie rolling. New film makers, new actors, new faces behind the camera – malayalam film industry is filled with talented youngsters who do carry a passion to bring up their best onto the silver screen. With doors wide open, it is much interesting to welcome few more gifted persons to perform on and behind the camera. Adding more to the line a young platoon is gearing up to create waves. Titled 'Vayanasala Junction', the movie directed by Mubeen Vibin will have a young cast dominated by new faces along with few established actors. The script of the movie is handled by Mirshad Kattookaran, Jomon, Rishi, Navami Nair and Kavya will be donning prominent roles in the movie. After the finalization of the cast, the film is expected to start rolling very soon. The cinematography of the movie will be safe in the hands of Sreerag. For the lyrics of Mirshad Kattokaran, the music is handled by Arun Muralidharan, Pravav Das and Sanu Dharans Shankar. The title 'Vayanasala Junction' gives a warm feel and takes us back to the old days. The movie will be a stepping stone for the new faces who are making their acting debut with 'Vayanasala Junction'. 2013 seems to be the golden year for malayalam film industry while considering the number of movies to be released in the current year. As per available information, the releases in 2013 would touch the dream '200', if things go fine. As malayalam channels are taking much care in buying the satellite rights, 25 movies have stopped its production in the middle. So film makers are taking much care in the various stages of making which would provide visual treat for movie enthusiasts. Hope that'Vayanasala Junction' will be a complete entertainer for the movie buffs.